This week's quarterback discussion needs to begin with the unfortunate injury to Ben Roethlisberger. He had accumulated 192 yards before enduring an ugly hit to his left knee in St. Louis Now, it appears that the 12th-year signal-caller will be sidelined for at least a month. This radically alters the explosiveness of Pittsburgh's attack, and has also impacted this week's rankings. Given Tom Brady's absence this week (we are about to examine that further), Roethlisberger would have resided at the head of this week's top 25. 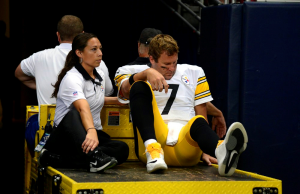 But now, owners and Steeler fans are left to wait anxiously for his return. Meanwhile, one of the unwelcome consequences of having the season progress into October, is a reemergence of the always despised bye weeks. Only two teams are impacted this week, but one of them will deliver major ramifications to some owners. Specifically, those of you who have enjoyed stockpiling fantasy points by having Brady as your starter. In his first four games, he has accumulated an NFL best 1,112 yards, and is second among all quarterbacks with nine touchdowns. But if you have reaped the benefits of his exceptional September outings, this is the week that you must now employ your best alternative option. And those of you in deeper leagues who have reached a comfort level with employing Marcus Mariota, will also have to look elsewhere. Other owners are facing their own decisions, and this column is designed to facilitate that process for you. These Week 4 rankings and matchups will also accommodate those of you who stream your quarterbacks, as well as those who play in daily, 2QB or Superflex leagues. Enjoy this week’s games, and good luck to everyone. Rodgers has now supplied his owners with multiple touchdowns in every contest this season, after he dissected the Chiefs for a whopping five on Monday Night. That propelled him into the NFL lead with 10 for the season. He also produced a season high 333 yards, against a Kansas City unit that had been allowing 268 entering their matchup. 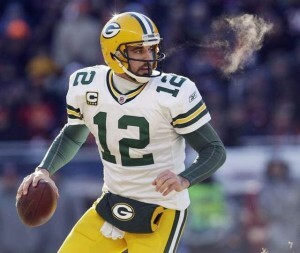 Another exceptional performance is imminent when he faces the porous San Francisco pass defense on Sunday. In their last two contests, the 49ers have surrendered a mammoth 369 yards to Roethlisberger, and were shredded by Carson Palmer for 300+ in Week 3. Those woeful performances have dropped them to 27th overall against the pass, and Rodgers should continue the ongoing assault against them this week. He was only the 20th quarterback selected during last summer’s draft process, with an ADP of 148. And the fact that he would deliver production that far surpassed his perceived value by potential owners was dealt with in my column during July . But his torrid start has exceeded even the most favorable forecasts. After assembling 311 yards and two touchdowns against the seemingly helpless 49ers, he now has amassed 803 yards and is tied with Brady for second in touchdowns (nine). Palmer will be tested this week by a seventh ranked St. Louis pass defense that will be far less hospitable. And it is crucial that Arizona’s offensive line provide him with a spotless pocket, as the Rams have already registered 13 sacks. After averaging 330.5 YPG during his matchups with the Eagles and Giants, Ryan assembled a respectable 285 in Dallas, which easily exceeded anything that had been accomplished against the Cowboys in their previous contests. Dallas entered the game ranked eighth against the pass, and was allowing 205 YPG. But Ryan’s ongoing connections with league-leading receiver Julio Jones, continue to cause nightmares for opposing secondaries. The duo has now combined for 440 yards and four touchdowns, which has propelled Ryan into second overall among all quarterbacks with 946 yards for the season. He will now face a Houston pass defense that ranks 12th (224 YPG), but has already allowed six touchdowns. Wilson appeared to be receiving the definitive dream matchup in Week 3, when the talent challenged, injury riddled Bears journeyed to Seattle. While his numbers were far from astronomical, he did deliver a respectable 265 total yards, along with a touchdown. It was not surprising that he pinpointed Jimmy Graham with a team high eight targets, as the mammoth mismatch provided the perfect opportunity to appease his tight end. That enabled the tandem to connect on seven of those passes for 83 yards and a touchdown. Wilson will be presented with another favorable matchup on Monday Night, when Seattle meets a second consecutive NFC North opponent. Detroit only ranks 26th against the pass, while allowing 284 YPG. Cam Newton after being a mainstay among the unquestioned QB1s since his NFL debut, Newton had been residing outside the top 12 in this column rankings in 2015. But despite an alarming lack of weaponry at his disposal, he has managed to rise into QB1 territory once again. Thanks in part to substandard play by his peers, combined with his excellent output in Week 3. Newton dissected NFC South rival New Orleans for 348 total yards and three touchdowns, which included 315 yards through the air. That easily established a new season high, as he was averaging 185 before facing the Saints. He now has an opportunity to deliver another highly productive outing, versus a Buccaneer defense that just surrendered 413 total yards to Houston last Sunday. If you are among the owners who are losing faith in Luck, it is understandable. There is legitimate reason for concern after another less than stellar outing in Tennessee. Even though he eventually accrued 260 yards and two touchdowns, too many of his throws still cross the line between aggressive and risky, which resulted in two interceptions by the Titans. He has now been picked off a league worst seven times this season, which adds to the concerns that already exist regarding his diminished production. He currently ranks 13th among his peers with 753 yards, and is tied for sixth with five touchdowns. However, you should avoid the self-defeating overreaction of jettisoning him from your roster via an unfavorable trade, based upon what remains a small sample size. Luck possesses too much talent for owners to discard, after you made such a significant investment on draft day. Better results should occur this week, versus a 25th ranked Jaguar pass defense that was just shredded by Brady for 358 yards and two touchdowns. 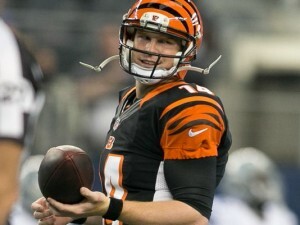 Dalton owners who wavered while determining whether or not to start him in Week 3 can certainly be forgiven. Based upon his previous history, and considering the potential for his recent positive momentum to arrive at an abrupt conclusion in a road matchup against a desperate AFC North rival. Hopefully, those of you who had the opportunity to use him, did so. Because he delivered an extremely productive 388 yards and three touchdowns. For the season he now has eight touchdowns, which trails only Rodgers, Brady and Palmer. He has also amassed 866 yards which places him sixth overall. Unless you have an elite QB1 on your roster, there is no reason to hesitate in utilizing Dalton this week. He will be facing a Kansas City pass defense that was just ravaged by Rodgers in Week 3. The fantasy community took a brief respite from conversation about Manning’s accuracy, offensive line and comfort level, during the 10-day span between Denver’s Week 2 and 3 matchups. And in the aftermath of his performance in Detroit, the topic of his immediate and season-long viability might subside for the foreseeable future. Manning accumulated a season high 324 yards, including 179 on 15 receptions by his top two targets, Demaryius Thomas and Emmanuel Sanders. Manning also generated two touchdowns, which expanded his season total to five. It is unlikely that he will replicate that output this week, versus a far more formidable Viking defense. San Diego entered Week 3 with the NFL’s sixth ranked passing offense, while Rivers was fifth with 644 passing yards, fourth at 322 YPG, and had thrown a pair of touchdowns in each of the Chargers’ first two contests. But Minnesota harassed him throughout their matchup, sacking the 12-year veteran four times, while forcing two fumbles and a pick-six interception. Rivers was also limited to a single touchdown, absorbed a hard, third quarter hit, and was mercifully replaced in the fourth quarter of a blowout. The potential for a Week 4 bounce back is sizable, as Rivers will face a Cleveland defense that failed to record a sack or interception against Oakland in Week 3, while surrendering 314 yards and two touchdowns to Derek Carr. It is very possible that the Chargers could choose to emphasize their ground game with frequency, as the Browns rank dead last in rushing defense (158 YPG). Manning was forced to operate without a legitimate WR2 to complement Odell Beckham Jr., during the first two weeks of the season. But in Week 3, a stunningly productive Rueben Randle accumulated 116 yards, to supplement the 79 that were manufactured by Beckham. All of which enabled Manning to amass 279 against NFC East rival Washington. He also found both starting wideouts with a touchdown, which expanded his season total to four. The imminent return of Victor Cruz will supply Manning with another critical weapon. Although how effective Cruz can actually be is unknown, until he is running routes on the field. Manning will attempt to maintain his positive momentum in Buffalo this week, versus a sturdy Bills unit that ranks 31st against the pass, but has produced five interceptions and six sacks. Those of you who are hesitant to trust Carr and Oakland's passing attack, should ignore the lazy analysis that is decreasing, but still exists among some within the fantasy community. While he is beginning to attain more favorable comments, some observers are still regurgitating outdated observations about the Raiders that should not apply to this season's group. Some prominent analysts compared Carr unfavorably with Teddy Bridgewater throughout the summer, by latching onto Carr’s 5.5 YPA in 2014. However, that number was largely a consequence of his highly inferior receiving options last season. The additions of Amari Cooper and Michael Crabtree into the Raider lineup has provided Carr with legitimate weapons, and his YPA has elevated to 8.1 as a result. After shredding the Ravens and Browns for a combined 665 yards and five touchdowns in his last two contests, Carr should continue his success during a very appealing matchup this week. After missing a game to injury for the first time during his nine year tenure as a Saint, the left clavicle that sidelined Brees in Week 3 could improve sufficiently for him to return this week. This remains an ambiguous situation, and owners already know to diligently monitor his health as game day approaches. Brees barely resides in the top 12 if he does perform this week, and owners are still left with a difficult decision. Not only will he be performing at less than optimal health, but the image of his ineffectiveness during New Orleans’ first contests remains fresh. As do the glaring shortcomings of his current receiving weapons. If you need him, and he becomes available, then certainly start him. But protect yourself by also searching elsewhere for alternative starting options this week. Rodgers ongoing standing among the elite quarterbacks is a major factor in categorizing this as a favorable matchup. But the increasing futility of a substandard 49er defense would present an enticing opportunity for a cornucopia of signal callers at this point of the season. Since a respectable performance in Week 1 against the Vikings, San Francisco has been tortured by Roethlisberger for 369 yards and three touchdowns in Week 2, and was equally helpless against Palmer last Sunday. Mistakes and increasing deficiencies in Colin Kaepernick’s execution, coupled with substandard defense and numerous shortcomings throughout the roster, have combined to leave San Francisco perilously close to seizing the dubious distinction of being the league’s worst team. Among their many undesirable numbers, is their ranking of 27th against the pass, as the 49ers are yielding 284 YPG. Rodgers should exceed that number, and manufacture multiple touchdowns. Detroit's resume includes a ranking of 27th in total defense, 20th at stopping the run, and 26th versus the pass. Mix in a Monday Night matchup that takes place in Seattle, and you have the recipe for an exceptional outing by Wilson. At a minimum, he should replicate the output that he attained in Week 3, and could nudge his numbers even higher. The Lions have attained that aforementioned ranking against the pass by surrendering 404 yards to Rivers in Week 1, and permitting Peyton Manning to amass his season high 324 in Week 3. The Detroit offense is also struggling mightily, which should allow Wilson and the Seahawk offense sufficient opportunities to generate fantasy points. Carr’s ascension from a borderline QB2 to a potential low end QB1 has occurred quickly, after his return to Oakland’s lineup in Week 2, and the subsequent high quality production that has resulted since that time. After breaking an 11-game road losing streak last Sunday, the Raiders travel to Chicago, for a matchup with a team that has been devastated by injuries, and has struggled to remain competitive in their last two contests. The Bears’ 26th ranked offense has been impacted by the collective absence of Jay Cutler and Alshon Jeffery, and their defense has surrendered 74 points in the past two weeks. That has dropped Chicago to dead last in scoring defense, with a horrendous 35 PPG average. The Bears have also yielded a league worst eight touchdowns through the air, managed just one interception, and present Carr with an opportunity for another excellent outing. He has failed to reach the top 12 in this column for several weeks now, and may not return frequently while Joe Lombardi is Detroit's offensive coordinator. Stafford’s efficiency and overall production have certainly declined in multiple areas since Scott Linehan departed in 2013, and the Lion passing attack has degenerated from the top five rankings that they achieved from 2011-2013. 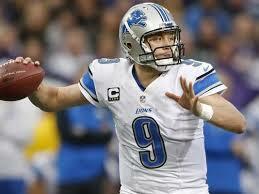 Even though the pieces are in place for Detroit’s offense to be more effective than they are. Stafford was literally pounded repeatedly by the Vikings in Week 2, then was sacked four times, and produced a trio of turnovers while facing Denver in Week 3. His demanding schedule now continues with a brutal Monday Night matchup in Seattle. The Seahawk defense has been bolstered by team leader Kam Chancellor’s return to the lineup, and this unit has risen to a ranking of second versus the pass. They will also be highly motivated while on display for their boisterous fans on Monday Night. Those of you who believed that Tannehill could be your starter this season, felt disappointment after his initial outing in Washington. But when his yardage total increased sizably in Week 2, there was growing reason for optimism despite a difficult Week 3 matchup with Buffalo. However, his performance against the Bills should ramp up the level of uneasiness among his owners. Much of his final output - 297 yards and two touchdowns – was manufactured after the Dolphins trailed 27-0. Worse, it occurred after he had tossed three first half interceptions. The ineffectiveness of Miami’s 30th ranked rushing attack has forced the Dolphins to rely upon their passing attack with great frequency, and placed more pressure on Tannehill to carry the unit. His numbers will be modest this week, against a fourth ranked Jet defense that is permitting just 192 YPG through the air, and has generated an NFL best 11 turnovers. At the onset of the season, Bridgewater appeared to be on track toward steady development into a reliable starter for both the Vikings, and for fantasy owners in deeper leagues. Plus, it seemed feasible that he could even merit consideration as a low-end QB1, given the potential of the weapons with Minnesota’s offense. But he has now degenerated into the mid-to-low QB2 range, after managing only 505 yards for the season, which places him 30th overall. His paltry 168 YPG average also trails a whopping 31 other signal callers, and significant improvement is not on the horizon. This will be a very difficult week for Bridgewater, as he must contend with the NFL’s premiere pass defense. Denver is allowing a league best 176 YPG, and has yielded just one touchdown pass. The Broncos have also accumulated six interceptions, and amassed 11 sacks. Cornerbacks Chris Harris and Aqib Talib consistently defuse the passing attacks of those who attempt to challenge them, and Bridgewater’s numbers will remain extremely low this week.